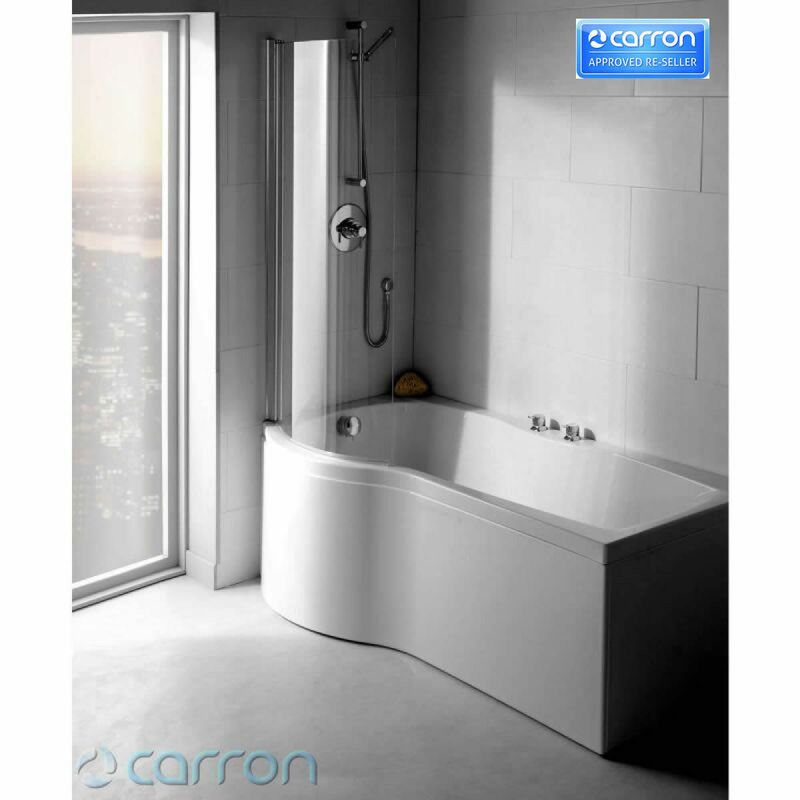 **Left hand bath shown** The Carron Sigma 1800 x 750/900mm Showerbath is beautifully designed. It's available in both right handed and left handed designs. 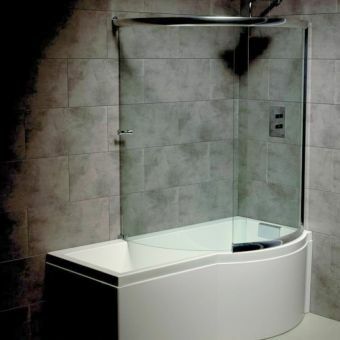 Dimensions on this shower bath are 1800 mm long by 890mm deep and can hold 265 litres. Two finishes are available: 5 mm and Carronite. 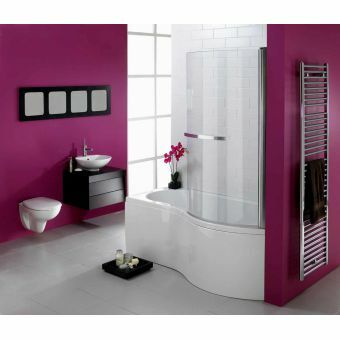 You can choose to buy the bath only or as a package which includes the shower screen and front panel. 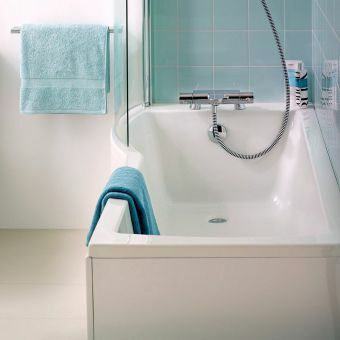 Carronite finishes hold in the heat longer than cast iron or steel baths and are twice as strong as standard acrylic baths. 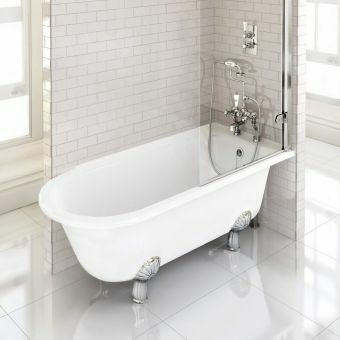 This bath does not come with tap holes (though they can be drilled when needed). 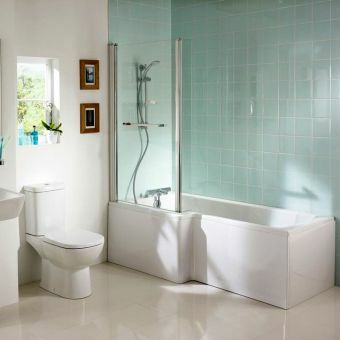 All brassware, bath waste, and overflow need to be ordered separately. 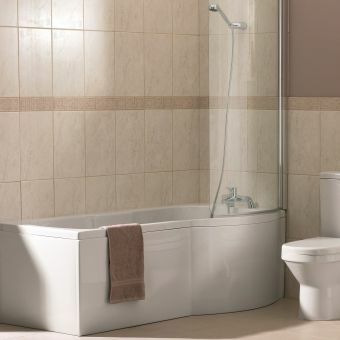 Standard length bath wastes are needed, not extended. End panels for a corner installation can also be ordered separated if they're needed and can be found in the options section above. 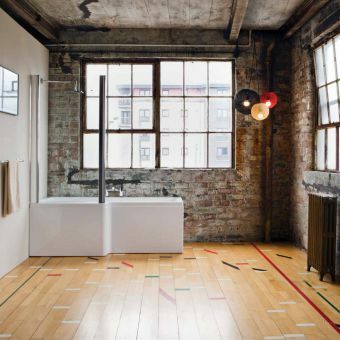 Overall, this bath would make a beautiful addition to any bathroom.